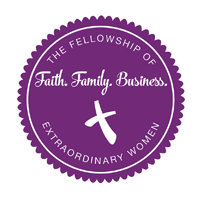 Lead in Faith, Family & Business the way you were created to after attending the FEW Women's Leadership Conference. 1. Relating with God - What is our relationship with God supposed to look like in daily life and what is the difference between religion and relationship? 2. Relating with People - The right way (I didn't say the easy way) to treat people in all kinds of different circumstances. 3. Resisting Materialism - If our hearts are found where our treasure lies, how do we keep our hearts focused on the 3 things that really matter? 4. A Culture of Honor - What is honor? (The answer might surprise you!) And how can we restore honor to a culture that doesn't seem to value it? 5. Care for Children & the Poor - What does leadership look like as it relates to serving the less fortunate? 7. 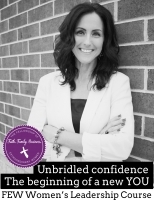 Integrity & Excellence - Become a woman who does the right thing when no one is looking. 8. A Heart to Serve - How do we have hearts to serve yet stay balanced in our schedules and have good boundaries in our relationships? 9. A Humble Heart - What does a heart of humility look like during good times and bad? 10. Walking in Wisdom - What does the Bible say about wisdom? Why is it God's secret to success? 11. The Need for Perseverance and Resilience - Why your attitude and mindset can be the ONE thing that gets you across your finish line! 12. Overcoming Fear - We were not made for fear! Let's OVERCOME fear in our lives and RISE above it! 13. Strategies for Faith & Prayer - Without faith, it is impossible to please God, so how do we create a prayer life that is full of FAITH? 14. Walking as Women of Authority and Destiny - To use our authority and walk in our destiny, we must know our true IDENTITY in Christ! THANK YOU, FEW WOMEN. Your hearts, your faith, your vulnerability, your compassion, your grace that just screams out that JESUS is my Lord and Savior. I am still blown away by the presence of the Holy Spirit that filled that room and that latched onto my heart in forever ending ways. ~Joni J. It came at a pivotal time for me. So glad God choose me to be in the room. ~Johonna D.
This Leadership Conference was so so filling. These women are so beautiful and anointed by God for such a time as this. It truly was an honor to have a seat in this room. ~Amy S.
What a privilege to come!!! Thank you so much!!! Thanks for sharing your heart and passion! ~Michelle K.
It was not only awesome, it was awe inspiring! ~Marlene D.
Thank you ladies for pouring your hearts out for us, for me, and most importantly for the Lord!! What a special weekend that I will never forget!!! I am excited to get back home and for what is to come! ~Danelle S.
Kimberly, thank you!! Thank you for accepting your call, taking the risks, overcoming your wounds and pushing through battle scars. Your words and testimonies come from the heart and are so impactful. My life will never be the same! ~Maureen H.
Thank you for all your hard work! I am forever changed. ~Barb W.
Rooms are available at a discount. Mention FEW's WLC when you contact the Ingleside Hotel. *Bring-a-Friend Discount* $675 Each for you and a friend. Limited time only! -PayPal, Credit Cards & Checks accepted. Contact us if you wish to register with cash or check. Choose your online payment option by clicking here and scrolling down to "Leadership"